We had first heard of action platformer JackQuest: Tale of the Sword back in the fall of 2018. Back then, it had a release window of “2018,” but now we know exactly when it will be coming out. Obviously it’s not coming out in 2019 anymore, but the good news is that it’s releasing pretty soon! It’s officially coming out on January 24, 2019. JackQuest is a Metroidvania that centers around our hero Jack’s quest to save his dear Nara from the villainous orc, Korg. He quickly finds Kuro, whose spirit is trapped inside a sword. Teaming up, the two go on a dangerous journey throughout Korg’s underground lair. 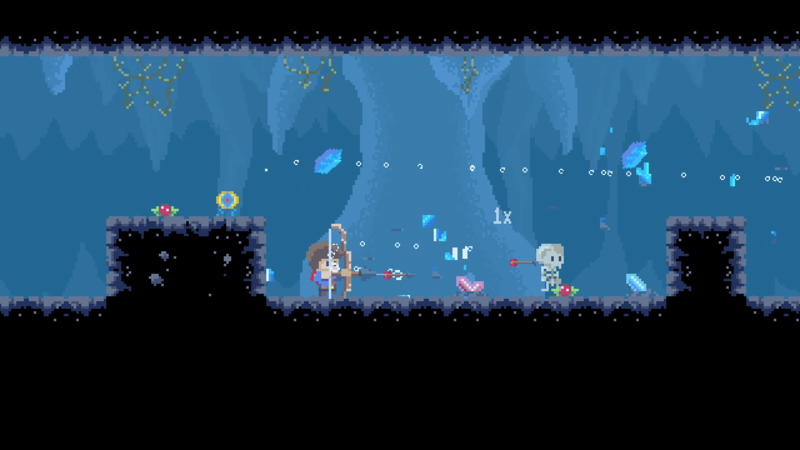 In true Metroidvania fashion, JackQuest features an interconnected world and numerous weapons and abilities to upgrade. As you further develop your skills, you’ll be able to traverse more of the map. The world is full of secrets for skilled players to discover. Korg may be a hulking orc, but he filled his lair with puzzles that you’ll need to work through in order to make it to Nara. Combat is fast-paced and unrelenting. You’ll face countless enemies that you’ll have to strike down. There will also be bosses along the way that will try to stop you in your tracks. JackQuest: The Tale of the Sword comes from NX Games and Blowfish Studios. The publisher is also behind some upcoming games like Storm Boy: The Game and Subdivision Infinity DX. JackQuest: The Tale of the Sword will be released on January 24, 2019 for the PlayStation 4, Xbox One, Nintendo Switch, and PC.